Reflo Training Cup Review and Giveaway! 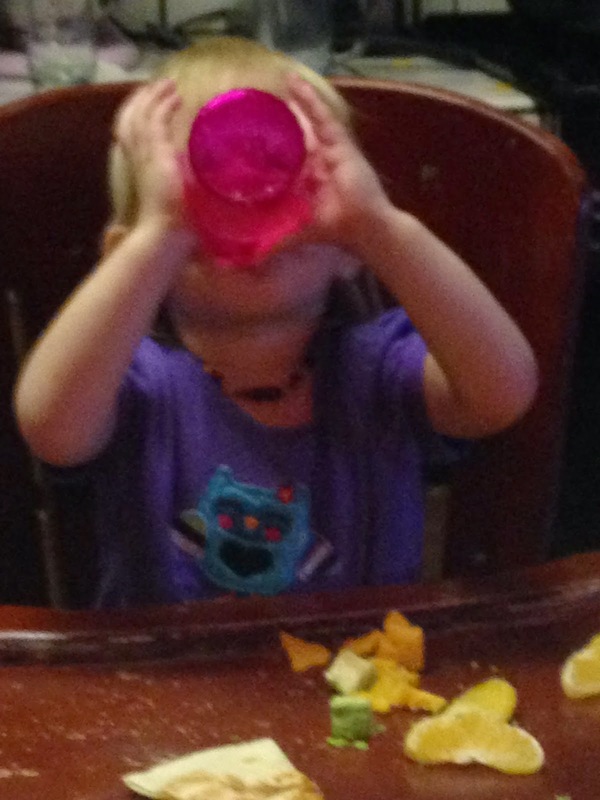 Bunny has learned how to take the tops off her sippy cups. Her drink ends up on the ground, oh joy. I have been searching for an alternative to sippy cups that will allow Bunny to have her own cup, but not make a huge mess. In my search I found the Reflo training cup. Reflo training cup is a training cup, It is not spill proof but it does minimize spills. Reflo training cup has a small plastic piece that goes inside the cup to slow down the flow of the liquid. Reflo training cup is BPA free, phthalate free, and dishwasher safe. All things I love and look for in a product! Reflo training cup comes in four colors: red violet (pictured below), blue, green and clear. Reflo training cup is not for hot beverages or for beverages containing pulp or solids. Bunny mainly drinks water, the Reflo training cup is perfect for her. Reflo training cup holds up to six ounces when the Reflo insert is in place, and ten ounces without the insert. I love that the Reflo training cup grows with Bunny. This is a cup that Bunny can use all through her childhood. I really love that Reflo training cup doesn’t spill a lot. Yes, if Bunny tips it over, it will spill. But there is not a gush of water. I can help Bunny turn the cup right side up before there is a huge mess. Reflo training cup is my go to cup now. We definitely need to buy a few more so Bunny will always have a clean one. Reflo training cup is not for hot beverages or for beverages containing pulp or solids. Bunny mainly drinks water, the Reflo training cup is perfect for her. Bunny loves her Reflo training cup and so do I! You can buy your Reflo training cup online for $6.99 each, or in a package of four for $24.99, or a package of twelve for $71.88! If you need your Reflo training cup now, you might be in luck! Select stores carry Reflo training cups, see if there is one in your area. TWO lucky readers will win their very own Reflo Training cup!